Blend your banana, greek yogurt, frozen mango, and frozen pineapple in a blender. 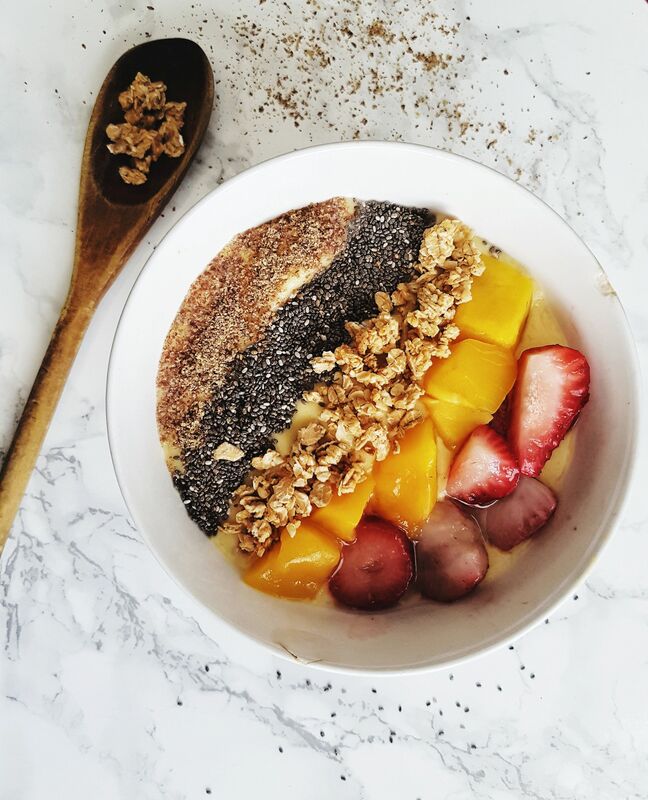 It’s important that both the pineapple and mango are frozen, as the consistency we’re aiming for in a smoothie bowl is far more thick than a regular smoothie. Blending should take about 2-3 minutes. If the frozen fruits aren’t blending with ease, stop your blender every 20 seconds and use a spoon to stir the mixture inbetween pulses. Pour your smoothie mix into a serving bowl. Now here comes the fun part, topping time. 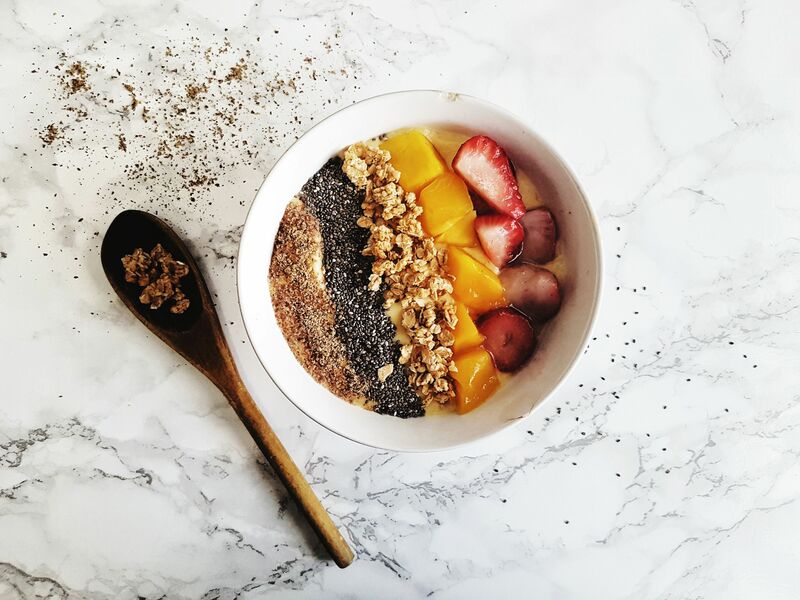 With smoothie bowls the possibility of toppings are endless, but I personally decided to opt for chia seeds, flax seeds, granola oats, strawberry slices, and more mango slices. 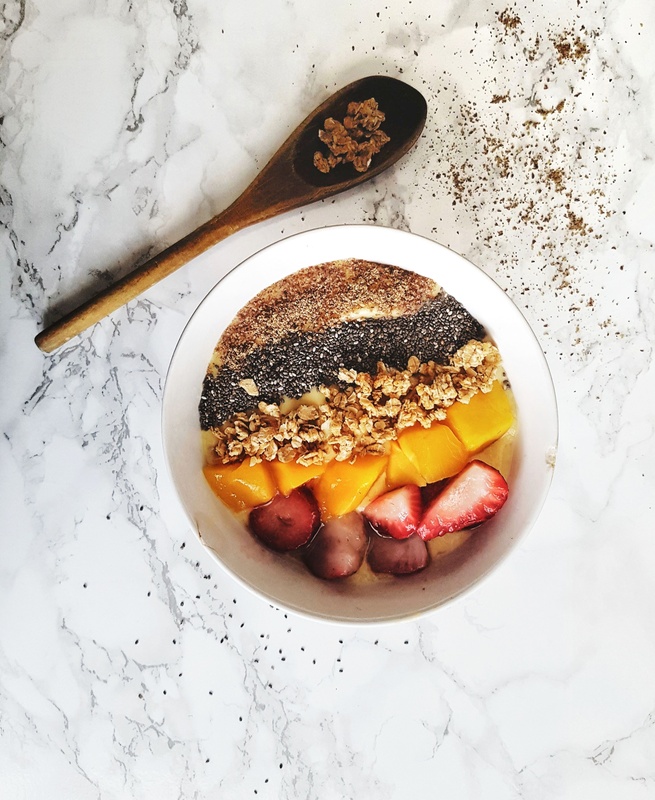 Chia and flax are both an excellent source of omega-3, so these toppings are sure to power boost your day and your metabolism! And there you have it! 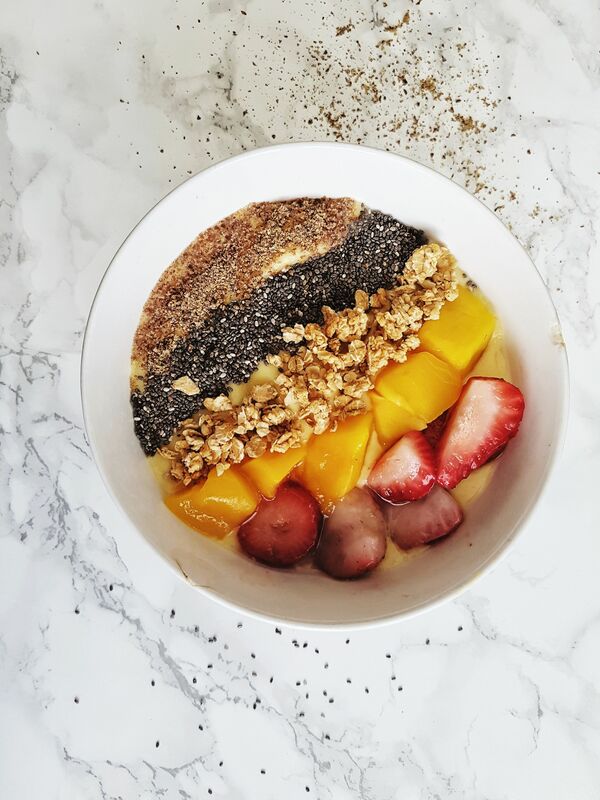 One healthy, refreshing mango pineapple smoothie bowl. Not only are these a great breakfast, but also serve as a healthy treat for the perfect “cheat meal”. 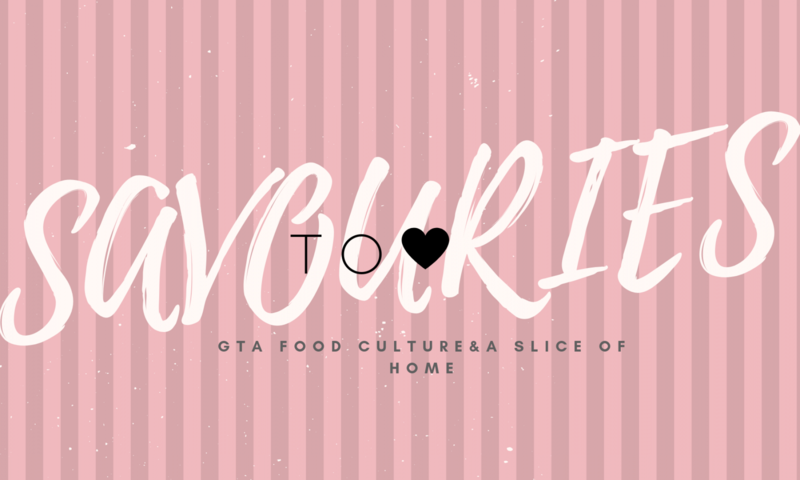 This healthy eat is approved by yours truly – S.
Looks absolutely delicious! you have presented it in such a beautiful way it’s so colorful and appetizing! 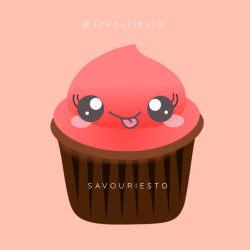 Thank you so much for dropping by Myspicypasta.wordpress.com. I really enjoyed your blog too. I will definitely return. Great recipe I will be sure to make this one, thanks for sharing .